Construction of final buildings has started. Sales Models Open. Resales are starting to hit the market now. 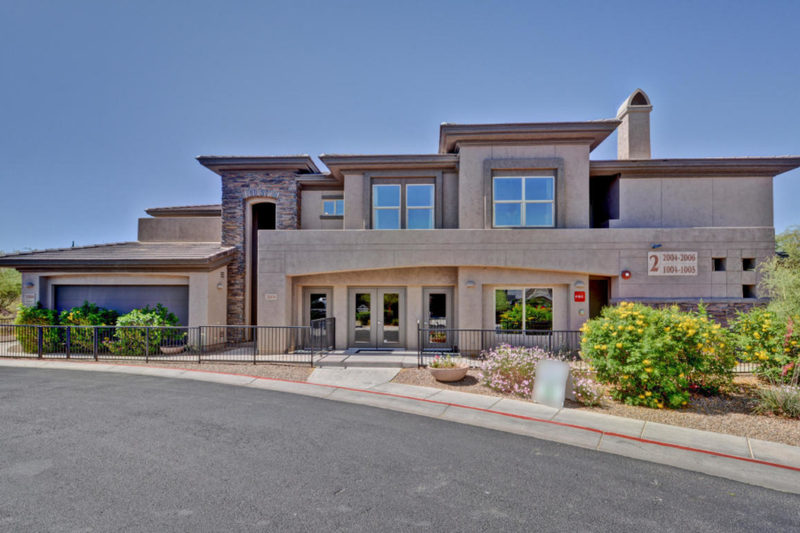 Check out Phoenix Urban Space's listing on the golf course, it's immaculate and better view than the new buildings! In the heart of one of Arizona’s premier master-planned communities, Villagio at Dove Valley Ranch,combines first-class living with the beauty of the mountains and the Sonoran Desert. Five beautifully designed floor plans range in size from 1,315 to 1,835 square feet and include the most desired standard features. Convenient, on-site amenities include heated pools and spas, barbecue area and fitness center. Location: Located near renowned Dove Valley Ranch Golf Club, world-class shopping, hiking, horseback riding and several outdoor recreational opportunities, Villagio at Dove Valley Ranch provides luxury, comfort and carefree living.